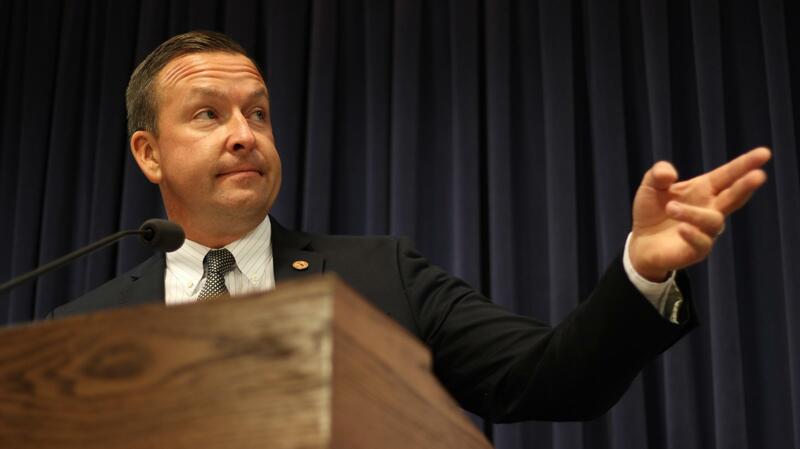 State Senator Andy Manar (D-Bunker Hill) speaks with reporters in Springfield. The Illinois State Senate spent Sunday in session, where Senators voted 38 to 19 to override Gov. Bruce Rauner's veto of the new school funding bill. The override wasn't a surprise, because this new evidence-based funding plan had originally cleared the Senate with a veto-proof majority. The House, however, represents a higher hurdle, where Democrats will need Republicans to vote with them. That vote is scheduled for Wednesday. "I still, again, think that is within reach. I think there's a clear path on how to do that, as long as folks stay disciplined and they keep their eye on the ball, I think that can get done,” he said. “If it cannot get done, the House should override the veto, just like the Senate did today." But State Senator Kimberly Lightford, a Democrat from Maywood, says negotiations have been derailed by Republicans bringing in new requests that aren't mentioned in Senate Bill 1 (the school funding plan) or Rauner's veto — requests like tax credit scholarships for private schools, mandate relief, and “management rights,” which Manar rephrased as “the diminishment of collective bargaining rights for teachers.” Lightford said Republicans presented those demands and didn’t take questions about them. "If you guys really want to get something done, we could! We could,” Lightford said. “You give, we give. You take, we take. You give again, we give again. That's how it goes in negotiations." Republicans countered that Democrats have not been negotiating in good faith. 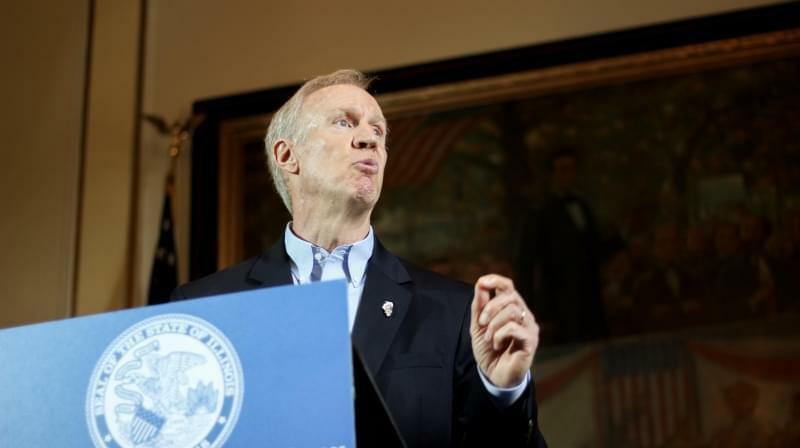 Before the vote, Rauner also said he hoped lawmakers could achieve compromise. 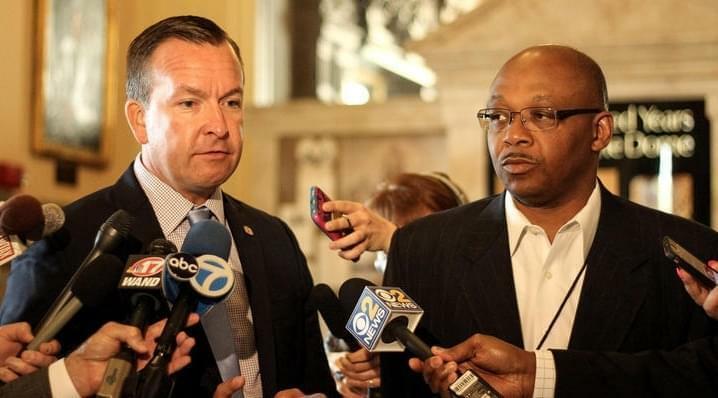 In a 30-minute press conference, he repeated his claim that Senate Bill 1 is a “Chicago bailout” cooked up by Democrats to favor Chicago Public Schools at the expense of downstate districts. One theme he never mentioned was the work of his own bipartisan, bicameral school funding reform commission, which met for close to 100 hours over a period of six months in an effort to find agreement on school funding. 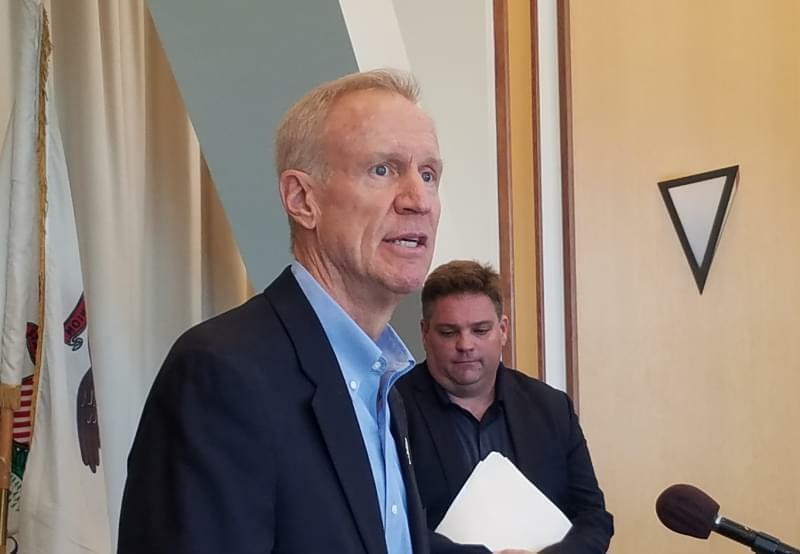 That commission, led by Rauner’s education czar, Beth Purvis, didn’t envision some of the more radical changes the governor made to SB1, such as calculating the value of property controlled by TIF districts or PTELL caps as though the TIF or PTELL designation didn’t exist. More than 500 school districts would see their property resources rise in value, thus diminishing their share of state aid, if Rauner’s amendatory veto survives. His plan would give more money than SB1 to most districts for a few years, by taking about $200 million from Chicago Public Schools and redistributing it to districts across the state. But other provisions in his plan would sap state aid. For example, his funding model doesn’t account for inflation, and lowers the cap for regional cost differences. 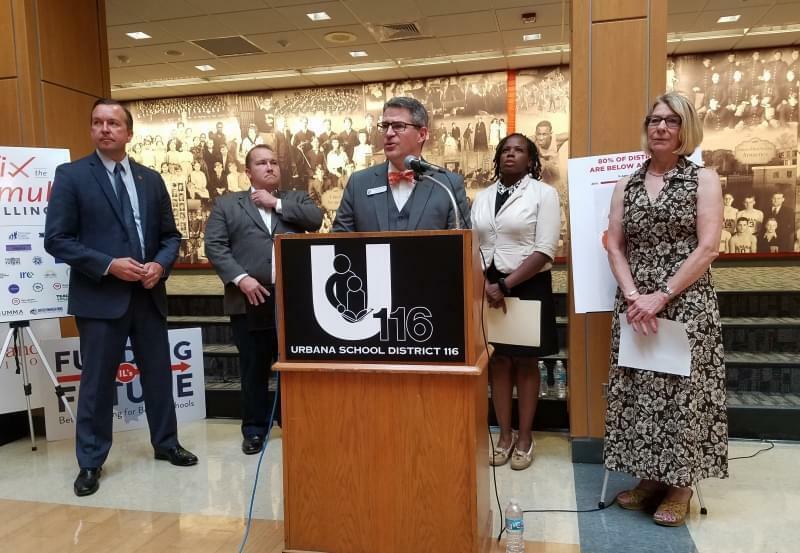 Beginning in July, 2020, districts with declining enrollment would lose a portion of their state aid, even if they were still far from adequate funding. The school funding question has to be resolved soon. 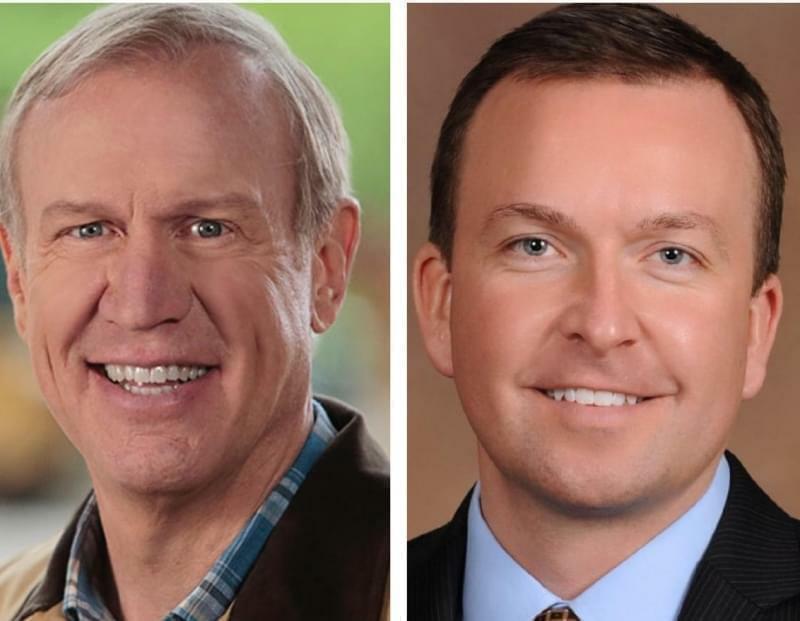 The state cannot send money to local school districts until legislators either override Rauner's veto or craft a new evidence-based funding plan.